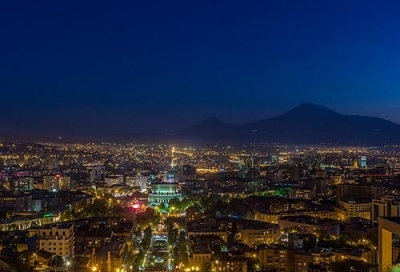 THE Armenian capital, Yerevan, with 1.1 million inhabitants, a third of the nation’s population, uses up a the lion’s share of the country’s energy - particularly through old and inefficient street lighting. With combating climate change, improving the economy and well being of the citizens the European Bank for Reconstruction and Development (EBRD) is providing $4 million for a pilot project to modernise Yerevan’s street lighting system by introducing new energy-efficient technologies. The loan will be on-lent to the Street Lighting Company owned by the city of Yerevan. The loan is expected to be complemented by a capital grant of up to $2 million from the Eastern Europe Energy Efficiency and Environment Partnership (E5P). The pilot project will see installation of new energy-efficient LED lighting, a control and monitoring system, pole replacement and renovation as well as power cable replacement. This will result in better service quality and improved environmental standards due to reduced energy consumption and the minimisation of operating and maintenance costs. Lighter streets will also be safer for pedestrians and motorists alike. Picture of Nighttime view of Yerevan, by Սէրուժ Ուրիշեան (Serouj Ourishian) reproduced under CCL.